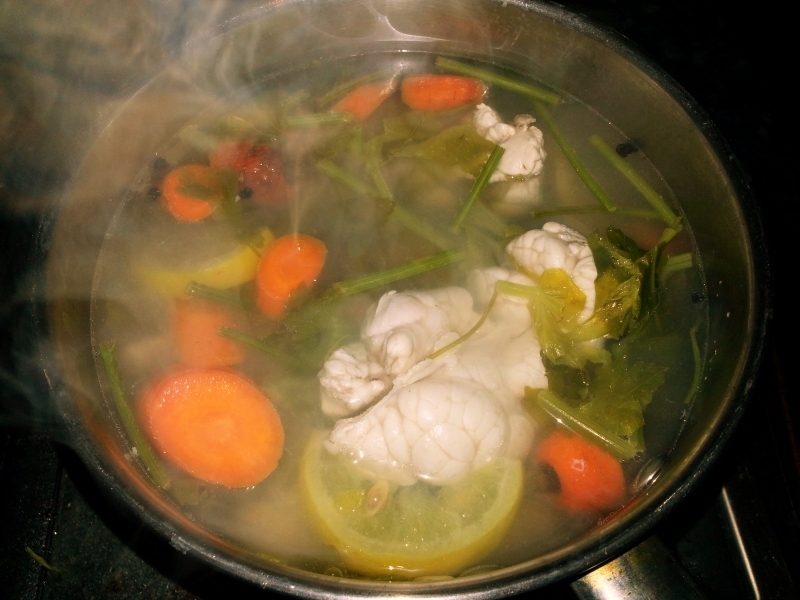 As promised in my last post a good recipe for a basic vegetable stock which is definitely robust enough to be swapped for chicken or fish stock in any recipe. It is hard to be exact when making stock because it depends upon the vegetables you like, the vegetables you have and what the stock is to be used for. It’s also worth mentioning that if you don’t have tomatoes, for example, don’t worry, just include something else to make up for it. The basics are fundamental. 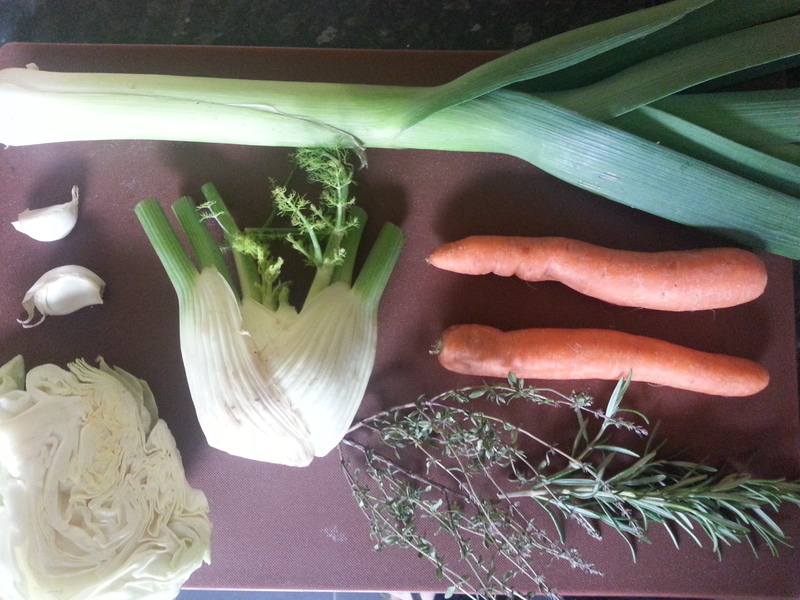 You need at least three of the following: onion, leek, carrot, celery and garlic and then everything else is a bonus. I would say you should use at least 3 more vegetables. The good thing about a vegetable stock is that because it is only simmered for 20 minutes you can get away with cabbage, cauliflower, broccoli, or any other brassicas before they go all farty. Asparagus trimmings, sweetcorn, pea pods, and anything else you can think of all count. Keep your trimmings in a freezer bag until they are required. The same goes for herbs: freeze parsley stalks and anything else that is looking a bit sad sat in the bottom of the fridge. Avoid mint as it tends to overpower vegetable stocks. The spices I like to use are peppercorns, cloves and then either some fennel seeds or some allspice berries, but it’s up to you really; cumin or cardamom, nutmeg or mace, chillies or lemon peel have all worked successfully in the past. Remember: the whole point of making your own stock is that you don’t get the same thing every time. I have never included a vegetable that hasn’t worked, even ones you won’t suspect like beetroots, cucumbers, lettuces and courgettes. For more general information on stocks click here. 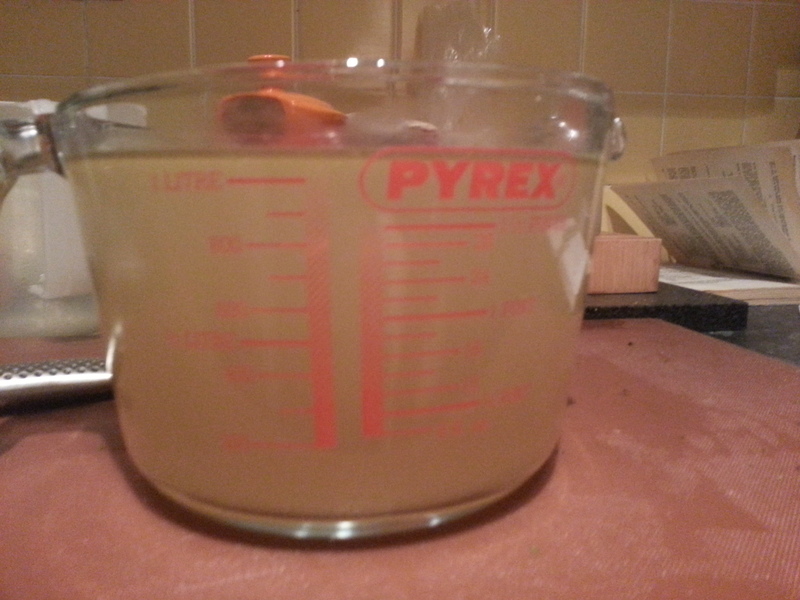 This recipe makes around 1 ¾ litres of stock. Begin by preparing your mirepoix; a mirepoix is just vegetables chopped very small so that the maximum amount of flavour can be extracted in the minimum amount of time. 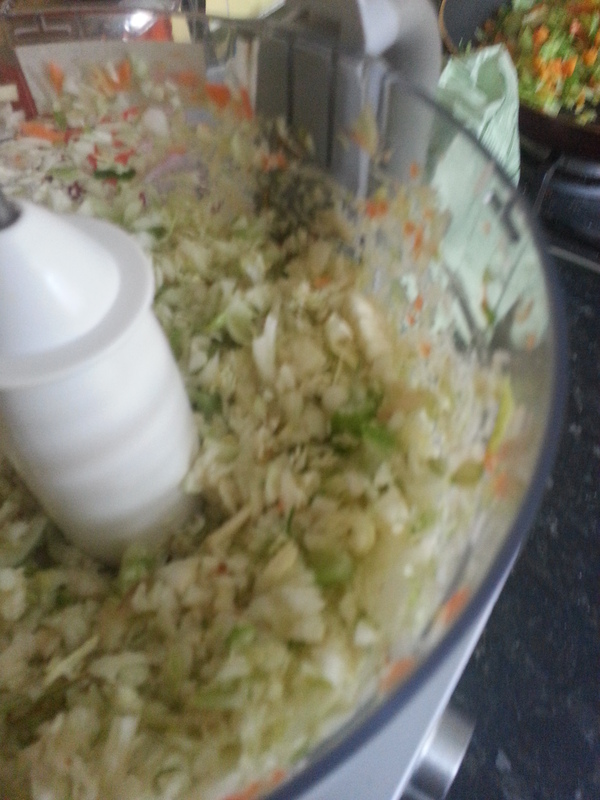 I go for the easy option and use a food processor. Heat the butter or oil in a pan and fry the vegetables for around 10 minutes so that they soften but don’t colour. Tip the vegetables into a large saucepan or stockpot along with your herbs and spices. Cover them with cold water and slowly bring to a bare simmer. Try and make sure the stock doesn’t boil. 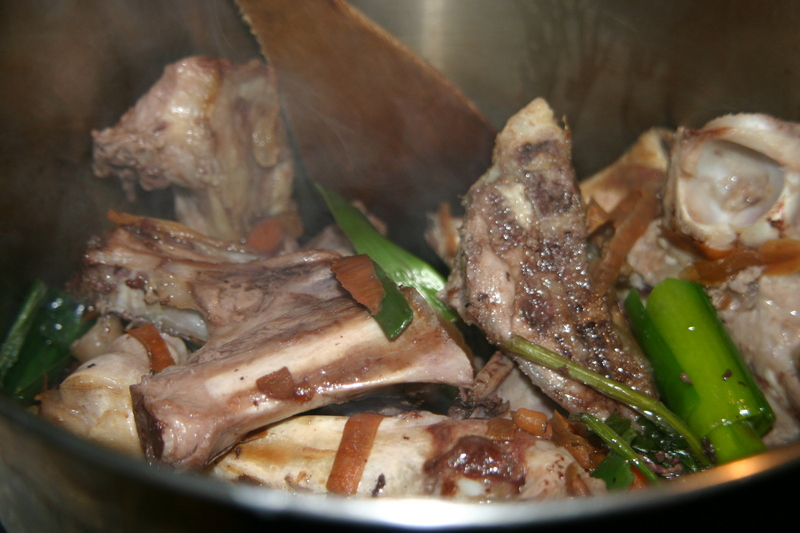 Simmer the stock on the smallest hob on the lowest possible heat so that it merrily ticks away for around 20 minutes. Let the stock cool slightly before straining it off. 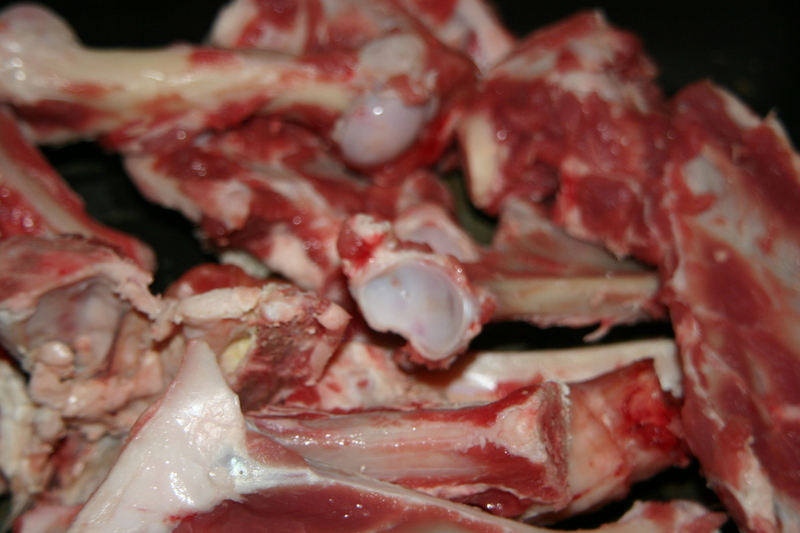 Avoid seasoning it with salt – wait until you’ve made the dish you are to use the stock for. Your vegetable stock is now ready to use. If you want, you can reduce it, but you must be careful not to boil it hard as the subtle flavours will evaporate and the stock will look and taste like overcooked sprouts. 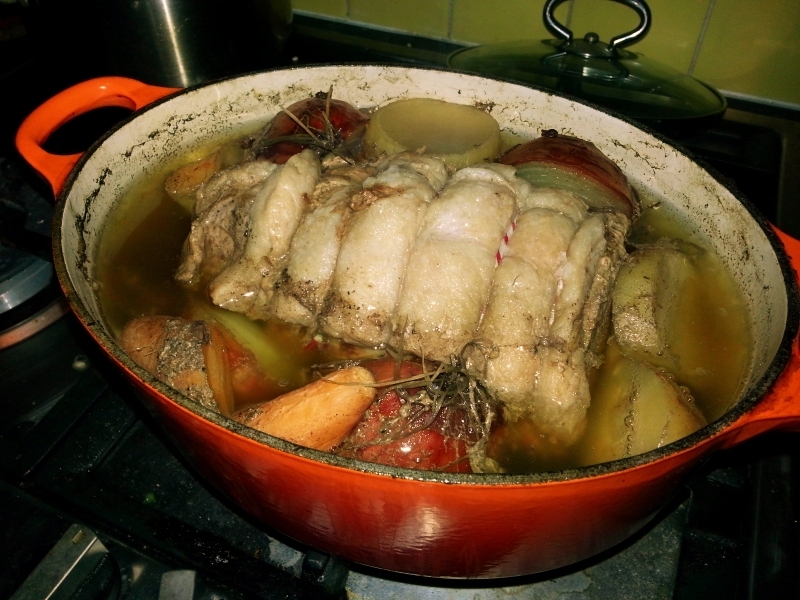 The best way reduce it is to pour the stock into a wide pan and let it simmer and reduce gently.